This End-User Agreement (“EUA”) is a legal agreement between you and CommCare Corporation (CommCare) for the contents and information appearing on this Web site and all Web sites operated by CommCare that you access or use. Your use of this Web site constitutes acceptance of the terms and conditions contained within this EUA. CommCare reserves the rights, in its sole discretion, to change or modify all or any part of this Agreement at any time, effective immediately upon publication of revised terms to the Web site and your subsequence access or use of the Web site. Your continued use of the Web site constitutes your binding acceptance of these terms and conditions, including any changes or modifications made by CommCare as permitted above. If at any time the terms and conditions of this Agreement are no longer acceptable, you agree to immediately cease all use of the Web site. CommCare expressly reserves all intellectual property rights in all text, programs, products, processes, technology, content and other materials that appear on this Web site. Nothing contained in this Agreement shall confer upon a user any right, title, or interest in, or license to any software, written materials, or intellectual property owned by CommCare. You acknowledge that the Web site contains information, software, photographs, audio and video clips, graphics, links and other material (collectively, the “Content”) that are protected by copyright, trademark or other intellectual and proprietary rights, titles and interests of CommCare or third parties. You agree to comply with any guidelines or restrictions contained in any Content available on or accessed through the Web site. While the Web site is designed and intended to provide accurate and authoritative information regarding the subject matters covered, the information is provided to you based on your agreement and understanding that CommCare is not engaged in providing legal, accounting, or other professional services to you. Assistance of legal counsel or other appropriate experts should be sought when applying the law, rules, or regulations to a particular set of facts or circumstances. You may not modify, publish, transmit, transfer or sell, reproduce, create derivative works from, distribute, perform, display, or in any way exploit any of the Content, in whole or in part, except as expressly permitted in this Agreement or as expressly authorized in a specific area of the Web site. Content consisting of downloadable software may not be reverse engineered unless specifically authorized by the owner of the software. Subject to the restrictions set forth in this Agreement, you may post on the Website any Content owned by you (such as your original statements), Content for which you have received express permission from the owner to post, and Content in the public domain. You assume all risk and responsibility for determining whether any Content is in the public domain or is permitted to be posted by the owner of the Content. You agree not to post on the Web site any Content which (a) is libelous, defamatory, obscene, pornographic, abusive, harassing or threatening, (b) contains viruses or other contaminating or destructive features, (c) violates the rights of others, such as Content which infringes on any copyright, trademark, patent or violates any right of privacy or publicity, or (d) otherwise violates any applicable law (including, without limitation, the laws and regulations governing export control, unfair competition, antidiscrimination, or false advertising). You agree not to post on the Web site any links to any external Internet sites that are obscene, pornographic, or otherwise inappropriate in the sole discretion of CommCare. You agree not to use the Web site to solicit users to join competitive services. You agree to ensure the confidentiality and appropriately authorized use of all passwords assigned to you for use in accessing the Web site. You agree to be responsible for any use or misuses of your username and/or password and to promptly notify CommCare of any breach of password security or the use of possession of your username and/or password by unauthorized individuals. CommCare does not and cannot review the Content posted by users on the Web site and is not responsible for such Content and you agree that CommCare will have no liability to you with respect to any Content posted on the Web site. However, CommCare reserves the right to delete, move or edit any Content that it may determine, in its sole discretion, violates this Agreement or is otherwise inappropriate for posting. You agree to remain solely responsible for all Content posted by you. CommCare shall have the right, but not the obligation, to correct any errors or omissions in any Content, as it may determine in its sole discretion, and may edit the Content posted to the Web site in its sole discretion. References on this Web site to any names, marks, products or services of third parties or hypertext links to third party sites or information are provided solely as a convenience to you and do not in any way constitute or imply CommCare’s endorsement, sponsorship or recommendation of the third party, information, product or service. CommCare is not responsible for the content of any third party sites and does not make any representations regarding the content or accuracy of material on such sites. If you decide to link to any such third party Web sites, you do so entirely at your own risk. You acknowledge that CommCare is not responsible for the availability of, or the content located on or through, any third party site. You should contact the site administrator or Webmaster for those third party sites if you have any concerns regarding such links or the content located on such third party sites. You agree to indemnify, defend and hold CommCare and its respective officers, directors, owners, agents, information providers, licensors and vendors (collectively, the “CommCare Parties”) harmless from and against any and all demands, claims, liability, losses, costs, and expenses (including attorney’s fees) incurred by any CommCare Party in connection with any use or alleged use of the Web site under your password by any person, whether or not authorized by you, including the posting of Content to the Web site. CommCare reserves the right, at its own expense, to assume the exclusive defense and control of any matter otherwise subject to indemnification by you, and in such case, you agree to cooperate with the CommCare’s defense of such claim. Neither commcare corporation nor any provider of third party content or their respective agents warrants that the service will be uninterrupted, accurate, reliable, or error free; nor does commcare corporation, any third party content provider, or their respective agents make any warranty as to the results to be obtained from use of the website or the content. The web site and the content are distributed on an “as is, as available” basis. Neither commcare corporation nor any of its third party content providers or their respective agents make any warranties of any kind, either express or implied, including, without limitation, warranties of title or implied warranties of merchantability, fitness for a particular purpose or noninfringement, with respect to the web site, any content or any products or services provided through the web site. Neither commcare corporation nor any third party content provider warrants that any files available for downloading through the web site will be free of viruses or similar contamination or destructive features. You expressly agree that the entire risk as to the quality and performance of the web site and the accuracy or completeness of the content is assumed solely by you. Under no circumstances and under no legal or equitable theory, whether in tort, contract, strict liability or otherwise, shall commcare corporation or any of its employees, directors, officers, agents, vendors, third party content providers or their respective agents shall be liable for any direct, indirect, incidental, special or consequential damages arising out of the use of or inability to use the web site, including, without limitation, damages for lost profits, loss of goodwill, loss of data, work stoppage, accuracy of results, or computer failure or malfunction, even if such party has been advised of the possibility of such damages. Some states do not allow exclusion of implied warranties or limitation of liability for incidental or consequential damages, so the above limitations or exclusions may not apply to you. In such states, the liability of commcare corporation, third party content providers and their respective agents shall be limited to the greatest extent permitted by law. 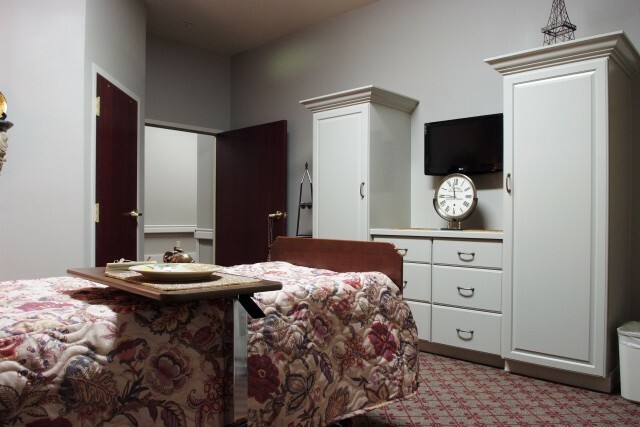 Certain links available on the web site will let you leave commcare corporation’s site. The linked sites are not under the control of commcare and commcare is not responsible for the content of any linked site or any link contained in a linked site, or any changes or updates to such sites. Commcare corporation is providing these links to you only as a convenience, and the inclusion of any link does not imply endorsement by commcare corporation of the site. 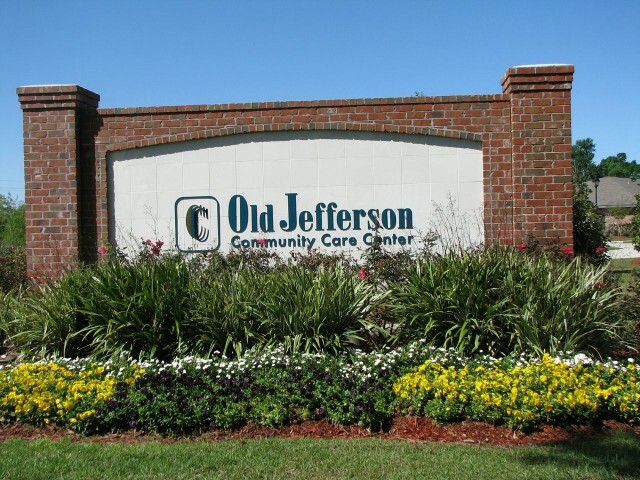 Old Jefferson Community Care Center is proud to employ talented, caring leaders who bring tremendous value to the experience at our facility. 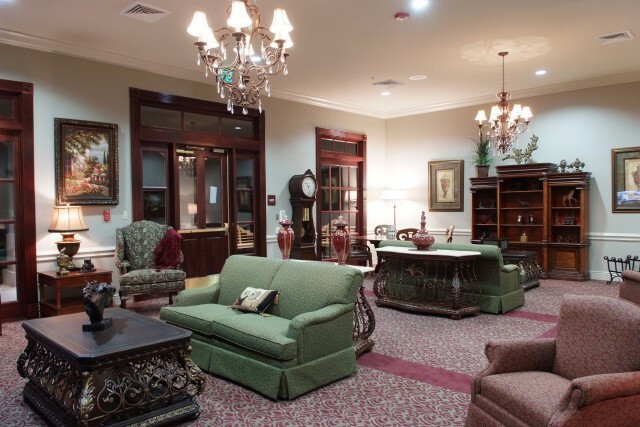 Our spacious, well-appointed center allows us to provide care in an environment that makes residents feel at home.